This is a guest post from T.U.B Investing, where he conducted an interview with our very own analyst, Faye. For this month’s interviewee, you may not really know her (yup, at last, an interviewee that is a female! ), but she is actually a stock market analyst on InvestingNote. I first noticed her was when she posted her analysis of Sheng Shiong on InvestingNote. It was quite detailed and seems to have addressed some of the changes in Sheng Shiong over the last few years. She has also continued to contribute to several articles on The Signal Blog, which I felt were interesting and provide a good overview of the counters as well as its respective industry. 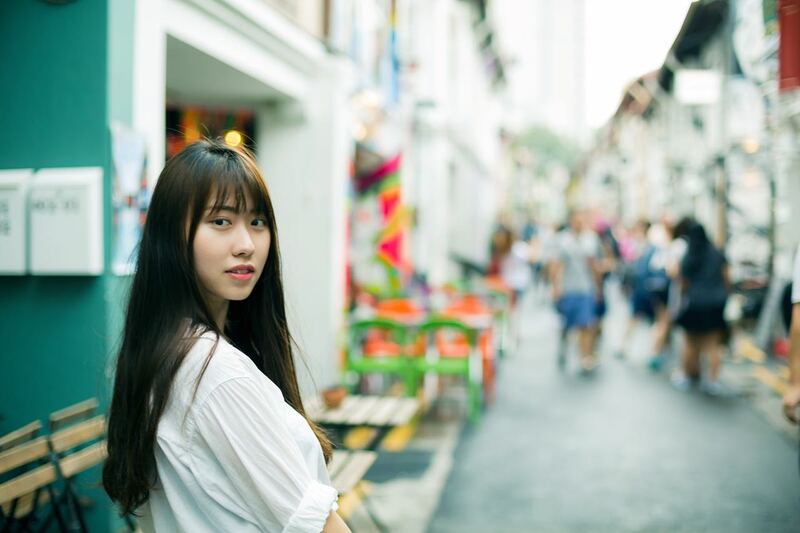 Therefore, with this interview, I felt it will be good for us to know her better and understand her thought process when she invest or analysis. Without further ado, let’s get straight to the interview questions and her answers! Our company and our community member Stockcham, have been donating to Singapore Children’s Society for the past three years. Singapore Children’s Society is a charitable organization that serves to protect and nurture children and youth of all races and religions. In 2015, the Society reached out to 67,577 children, youth and families in need. We felt that helping children in need is especially important, because the children of today are the adults of tomorrow. It is also aligned with our mission to promote greater financial and investment literacy. 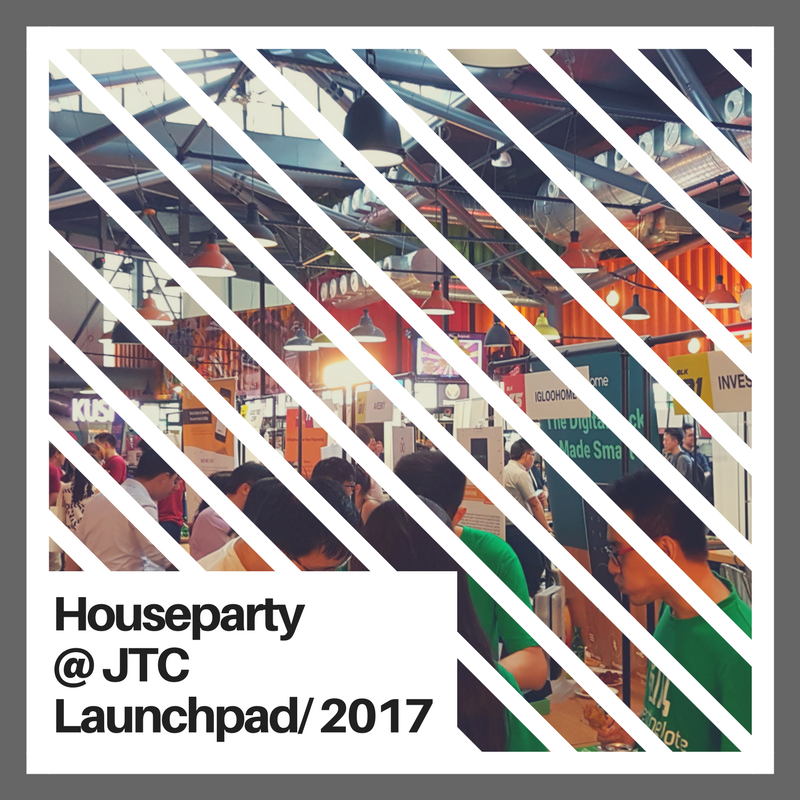 We were at the JTC Houseparty yesterday! The startup journey has been quite a ride for us. 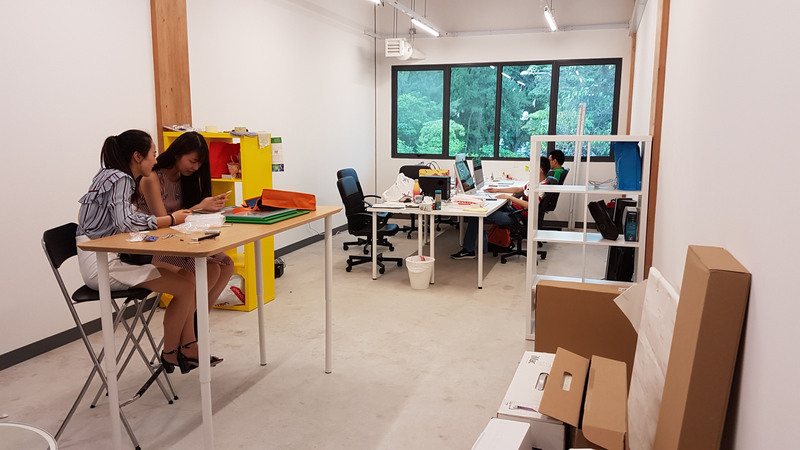 From constantly improving our product, to growing and managing our community, we have done it all while stationed in our small office within the NUS compound. As we are looking to grow both our team and networks, a bigger office beckons us. Our Feature In The Business Times! If you’re still wondering what InvestingNote is all about, we’re the social network for investors. 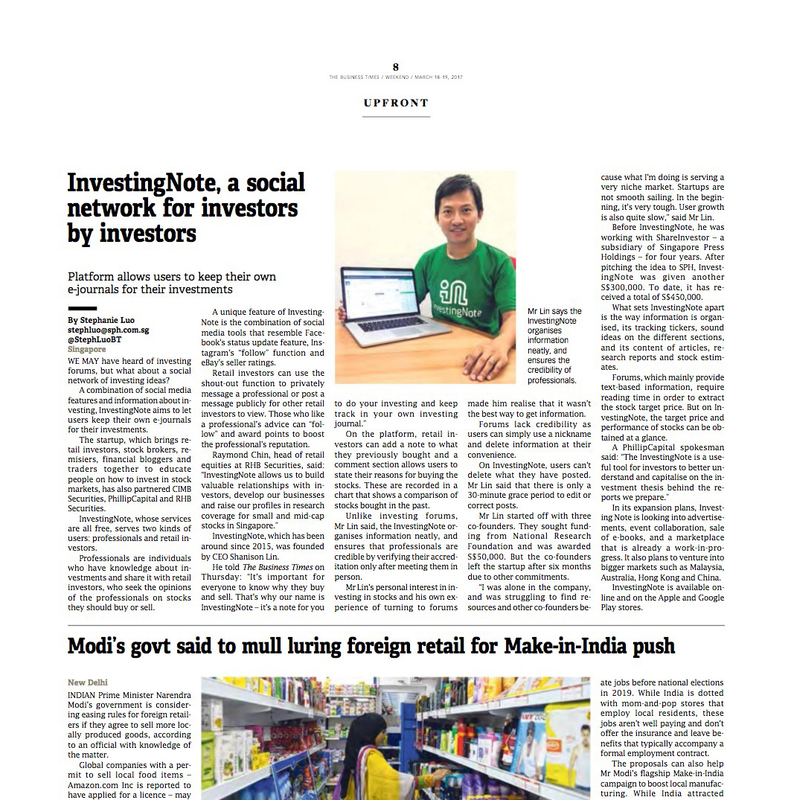 We’re proud to have made the headlines in the 18th March edition of The Business Times. What else is just as important as making money in the stock market? 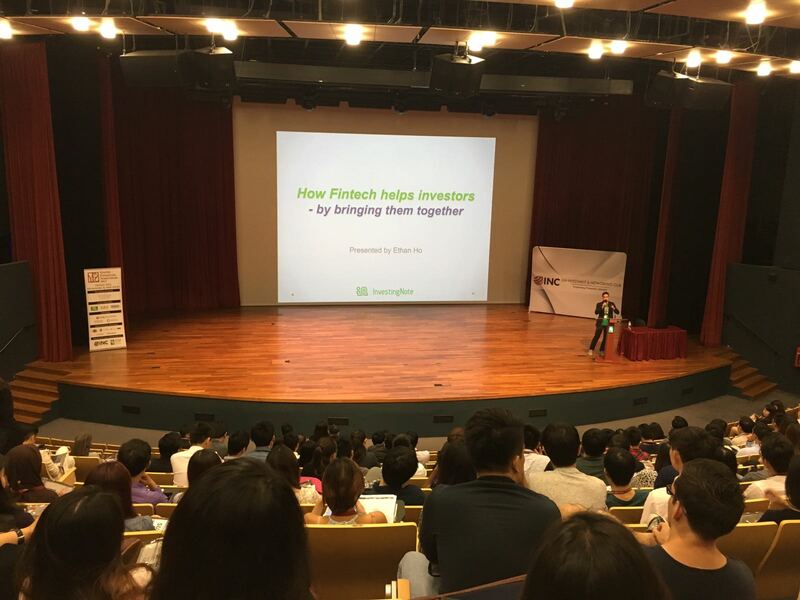 We had the honour to attend Singapore Institute of Management’s (SIM) Youth Financial Symposium (YFS) over the weekend! We stole the show in 2016…the last post of the year! 2016 has been a great year for us. We’re proud to see a 35 times or 3500% increase in web and app traffic, and we’ve also grown to millions of page views per month! We’ve implemented a charting tool and events calendar which were positively received. We’ve also released both our Android and iPhone apps on the app store. This is definitely a milestone for us as a brand and a company. We were invited to the Singapore Fintech Awards 2016! 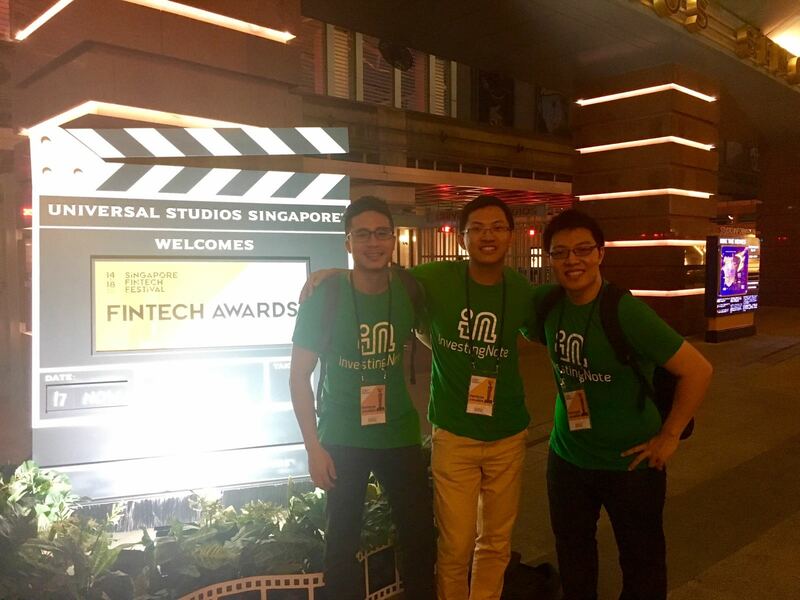 Just 2 weeks ago, we had the privilege to attend the Singapore Fintech Awards…and it was held at Universal Studios Singapore! The respective winners of the awards can be found here.